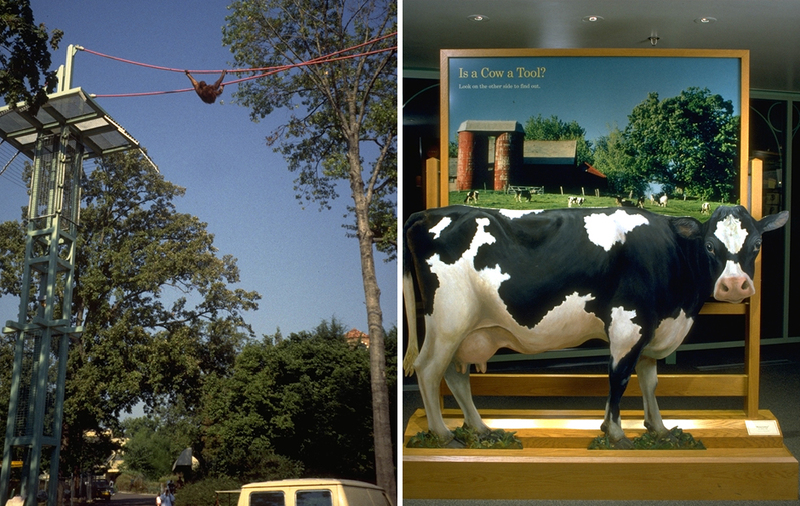 Main Street was asked to transform the former Monkey House at the National Zoo into a groundbreaking exhibition on the evolution and biology of thinking. 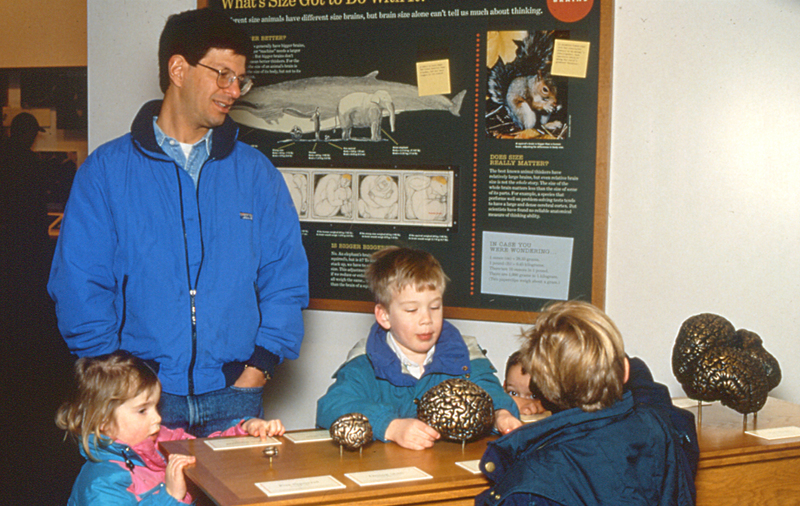 Think Tank extends the bounds of conventional zoo exhibits beyond a focus on species or habitats, or even conservation, inviting visitors to explore the very concept of thinking, and to participate in an on-going research project at the zoo. Working closely with Smithsonian scientists and curators, we were challenged to communicate complex concepts in a clear, compelling style. 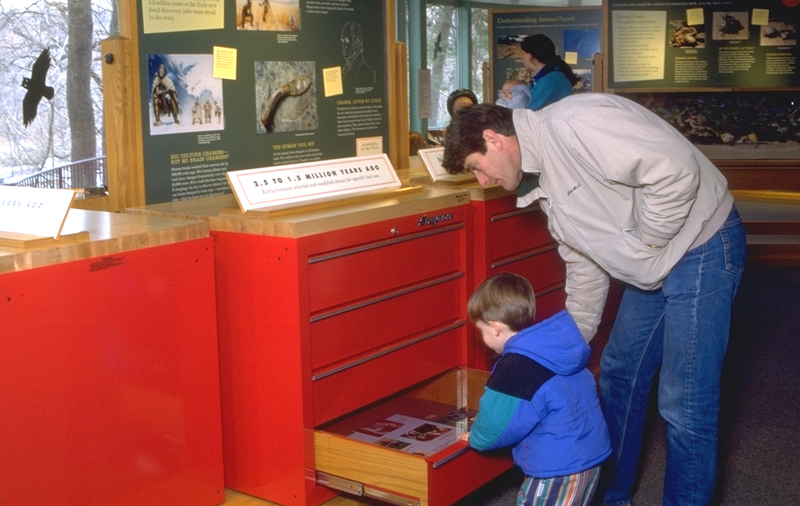 Live animal displays, interpretive graphics, artifacts and objects, audiovisual programs, and multimedia and mechanical interactives help get audiences involved. 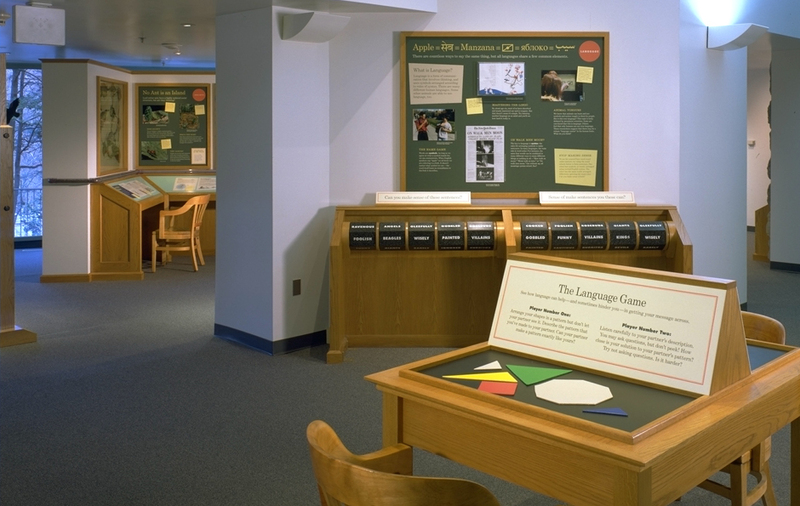 Visitors become researchers, pursuing open-ended inquiry into questions of human and animal intelligence and the meaning of thinking. What is thinking? How can it be measured? How is the ability to think related to brain size and complexity? What are the benefits of thinking, and what are the costs?